We created our popular Classic Show Sheet and related accessories with tough Arctic Nyl - an innovative new lightweight fabric that provides unmatched durability. Your horse stays clean, comfortable and protected with it's unique wicking action to draw moisture away. 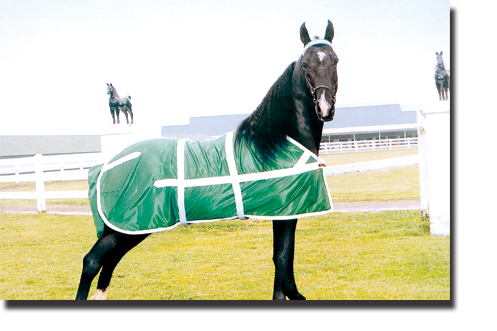 Professional trainers use them to protect horses while conditioning, shipping or at shows. 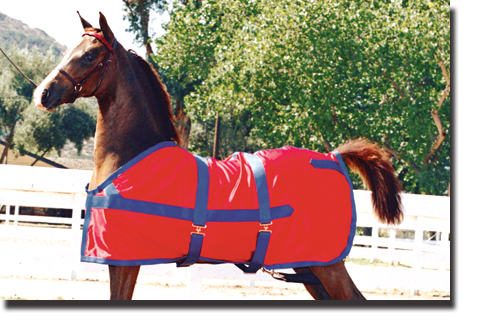 The RaDon custom Tail Bag keeps your horse's tail clean and protected. Made of Arctic Nyl, it will match your Classic Show Sheet and last as long.